Back in the early days of crafted cocktails, there were only so many ingredients available for use. Today we have every type of infusion, flavors, and unique liqueurs imaginable! (Well, almost. There will always be surprises.) As you read through the vintage cocktail recipes in this project you will notice a great deal of similarity between many of them. However, a mere slight variance in these recipes will yield a truly different libation experience. This is evident when comparing “The Aviation” and “The Blue Moon” and switching out the Maraschino, the Crème Yvette and the Crème de Violette. 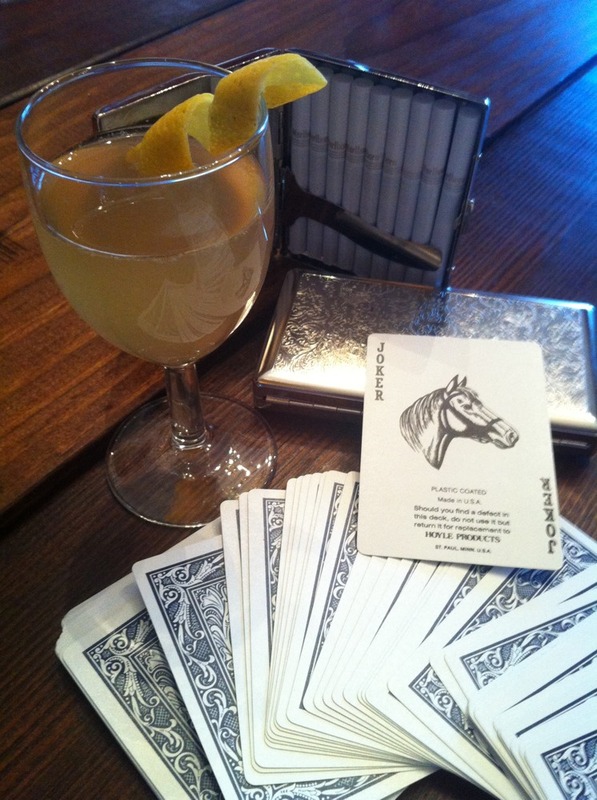 The “Barnum Was Right” cocktail is similar to “The Aviation” and to “The Pegu Club” cocktail. All have a base of gin, with fresh lemon/lime juice and a few dashes of Angostura Bitters. The difference with “The Barnum” is the addition of apricot-flavored brandy. The result is a picturesque cocktail with a yellow hue and fresh, fruit aroma. However, we didn’t find this cocktail to be balanced in taste. The four simple ingredients just didn’t work together as an ensemble. We used Plymouth gin as our foundation. Plymouth generally serves well when you want a smooth, nice balance to a cocktail. The apricot brandy came across stronger than expected. The brandy and gin flavors fought against each other. We’ve added this drink to our “lab time” list of recipes for some experimentation. Our thought is to try this again with Tequila Blanca in place of the gin. The original gin used in this recipe was a Mistletoe Gin (circa 1933), but it may be interesting to sample the recipe with other gins. 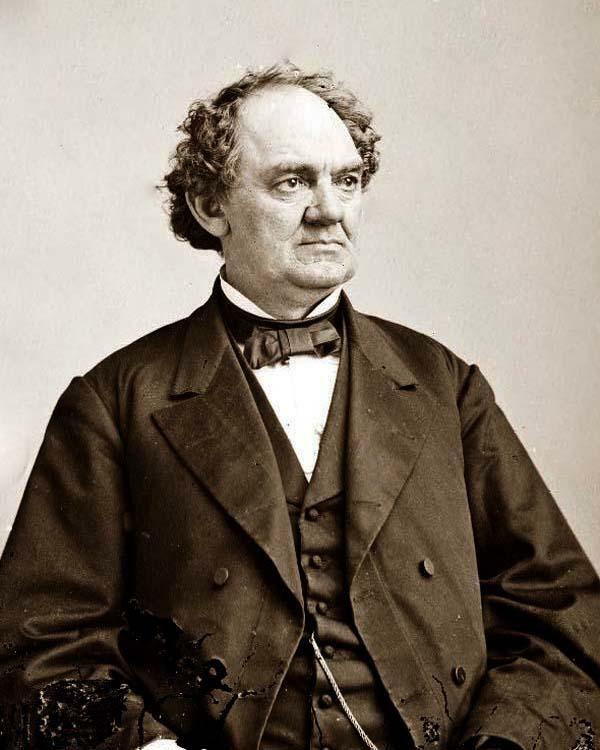 You’ve heard the popular phrase attributed to Mr. Phineas T. Barnum: “There’s a sucker born every minute.” The trouble is, Barnum never said it. It was actually said by his competitor. In 1869, George Hull was make quite a big of money selling tickets to view “The Cardiff Giant,” a huge fossilized human giant actually carved out of gypsum. A fake. But at the time no one questioned the authenticity of this new “wonder of the world” and Hull continued to enjoy his notoriety as a showman with this new find. 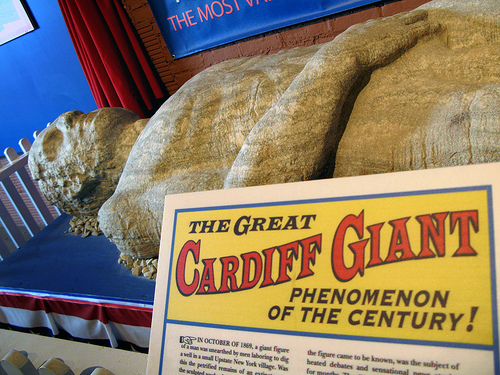 Banker David Hannum believed so strongly that he invested $30,000 (a two-thirds interest in the Giant) to help with promotion and to move the Cardiff Giant to an exhibit hall in Syracuse. I will gladly taste this. Thanks for your feedback! Sorry we were late commenting, but your comment went into our spam folder. Hopefully that has been corrected. Slainte!